Justinmind launches new, essential Sketch plugin for the best integration ever seen. 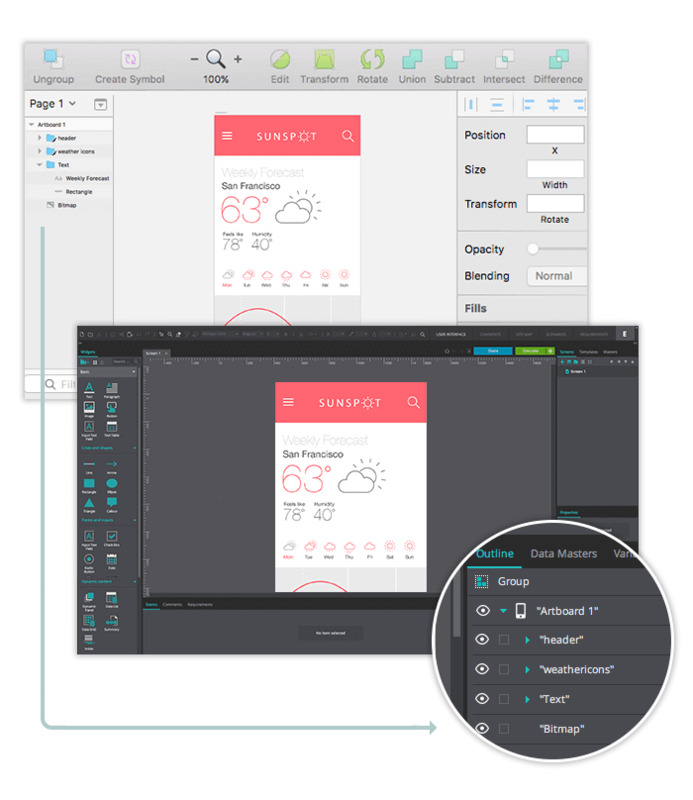 Make Sketch prototyping part of your design process now! Justinmind’s latest release includes our brand new integration with Sketch, which will take your UI design process to the next level. The Justinmind Sketch integration consists of a new plugin that allows you to import your Sketch design into Justinmind while preserving all of your layers. From there, choose from the wide range of UI elements and interactive events available in Justinmind to make your design interactive, as well as stunning – it’s as simple as that! Just what you’ve been dreaming of, right? Make your design process more efficient and more powerful with the Justinmind Sketch integration. Get the Justinmind Sketch plugin now! 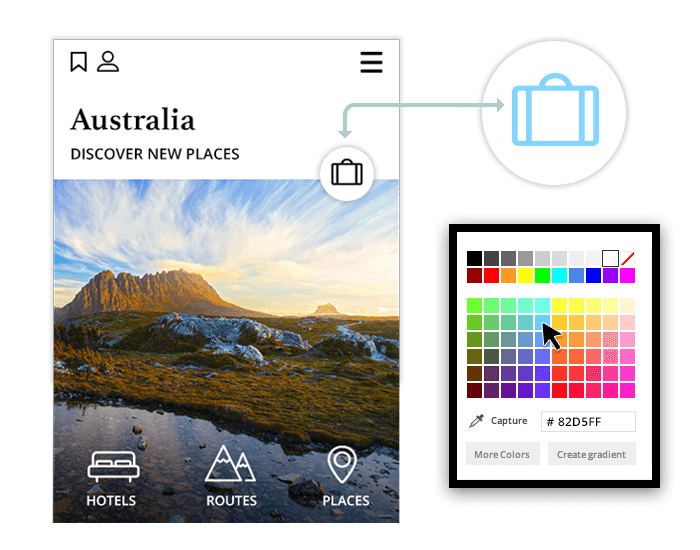 Want the luxury of working dynamically across different design tools? With the Justinmind Sketch integration, it’s that easy. Start by creating your artboard in Sketch with as many beautiful images, complex shapes, and illustrious fonts as you like. Then when you’re ready, export your assets to Justinmind within seconds to continue working on the visual layout with our drag and drop UI libraries. Then, explore Justinmind’s selection of effects and animations to give your design the interactive edge. Read our tutorial for information on setting up and getting started with Sketch prototyping. There are a variety of export options available in the Justinmind Sketch plugin. You can opt to export your artboard as individual layers, which will allow you to work on both the visual appearance as well as the functionality of your design in Justinmind. Or, you can export your artboard as one image. This option is great for maintaining styles implemented in Sketch while you work on the artboard’s interaction. You can even choose how you wish to view your Sketch design in Justinmind: as a web, mobile or tablet prototype, and between portrait and landscape. The Justinmind Sketch integration makes design rework a thing of the past. Instead of recreating UI elements in your Justinmind prototypes, why not reuse the ones you have already worked on in Sketch? And because the elements that you export over to Justinmind are SVG vectors, you can fine tune them to meet your design vision. So you like the way your Sketch workspace is arranged, and don’t want to have to learn where things are in a different tool? No problem. Customize the Justinmind user interface just the way you like; even replicating the Sketch layout if you want! When Sketch prototyping, use our nifty folder system in the Screens tab to replicate Sketch pages that contain your artboards. We’ve taken care of file naming too so nothing’s out of place. Because there’s no place like home. Listen to our new release webinar where we discuss this new integration in detail. 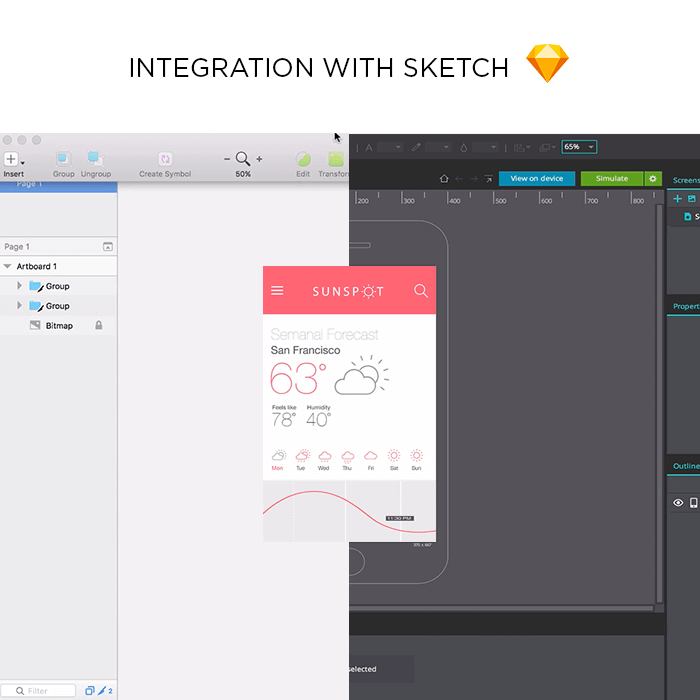 Please note that the integration works with Sketch v41+ only. A single design tool can change a brand’s identity. Imagine the power of two! Render our Sketch plugin for Justinmind now and take advantage of this amazing new design integration.